Ashford Forest Preserve (AFP) is approximately 30 acres of largely undisturbed land on Clairmont Rd. across from DeKalb Peachtree Airport, in DeKalb County, GA. The forest consists of old growth forest, a meadow, several springs and a wetland area. There are walking trails throughout the preserve. Take a break on one of the trailside benches! 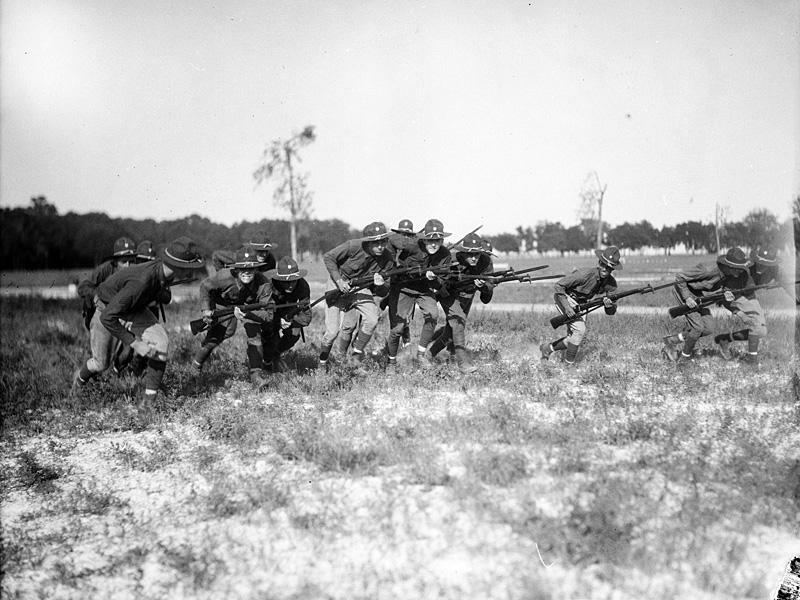 The Ashford Forest was farmland until the run-up to WWI in 1917, at which point Camp Gordon was constructed. 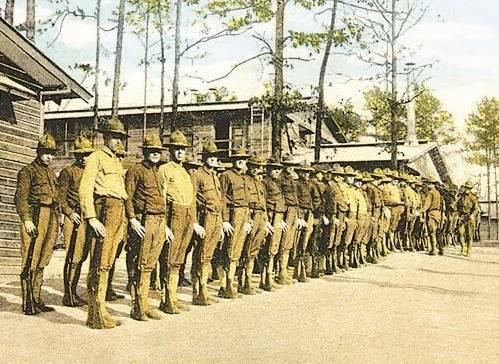 It was the largest temporary training camp in the south at 2,400 acres and housed more than 40,000 troops. The greenspace portion was part of the cavalry unit and served as the paddock area. The most decorated hero of the war, Sergeant Alvin York from Tennessee, trained at Camp Gordon. 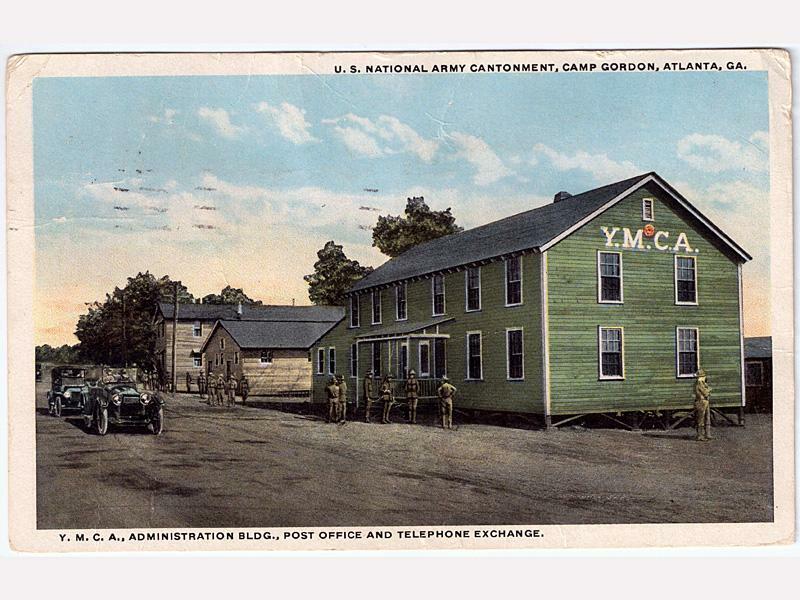 Camp Gordon was the birthplace and training ground for the legendary 82nd “All American” Division. 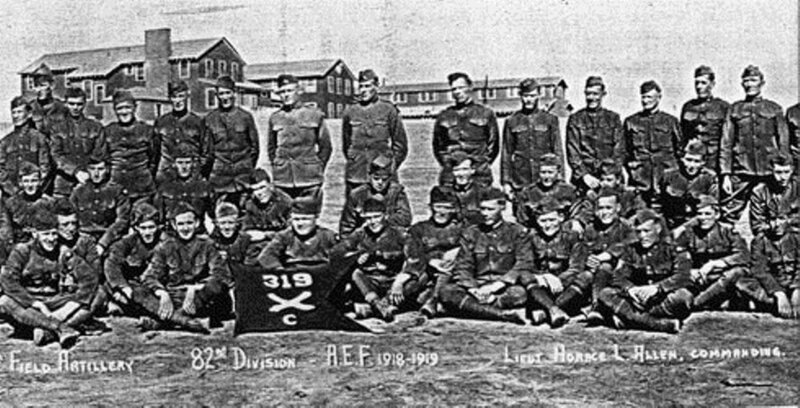 The camp was decommissioned in 1921, but reactivated in WWII and housed the 82nd Airborne Division on the recently build dirt runways. The airport became the Atlanta Naval Air Station (NAS) until the late 1950’s when Dobbins was constructed. You can still see the remainders of runway approach lights in the greenspace. The airport reverted to a civil airport after the military moved to Dobbins. The greenspace was still part of the airport as the runway protection zone for the east-west runway. When the airport closed the runway and built the new hangers, the greenspace was threatened with being sold for development. However, the danger started much earlier as the airport sought ways to put commercial establishments in the greenspace, even though the runway was still active. Efforts by residents of DeKalb County to preserve this irreplaceable undeveloped tract of land go back over 20 years. The establishment of the city of Brookhaven was a significant change in the equation and our current Mayor and Councilmen recognized that this land is a key component to improving other watershed management challenges we are facing as well as offering a unique place for people to experience and enjoy being outdoors in nature close by. Brookhaven purchased the greenspace from DeKalb County in 2017, and has deed restrictions to prevent any development as part of the loan.